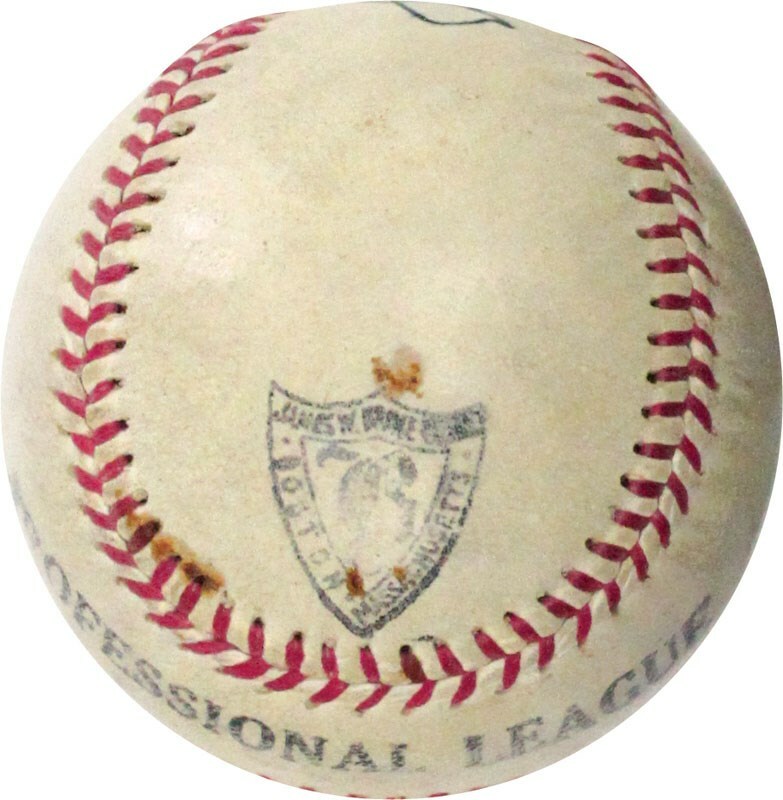 Lot # 51: Extraordinary Jimmie Foxx Single Signed Baseball – PSA/DNA LOA w/a PSA NM/MT 8 Signature! 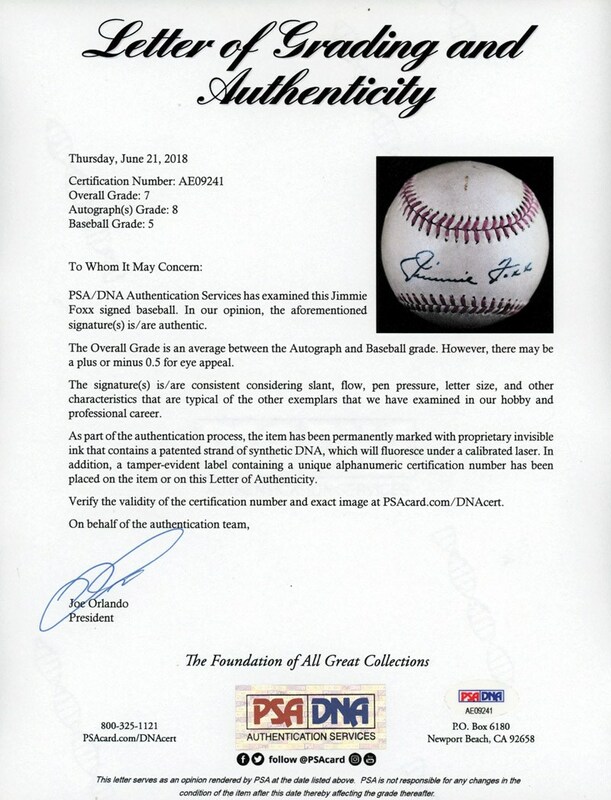 Extraordinary Jimmie Foxx Single Signed Baseball – PSA/DNA LOA w/a PSA NM/MT 8 Signature! 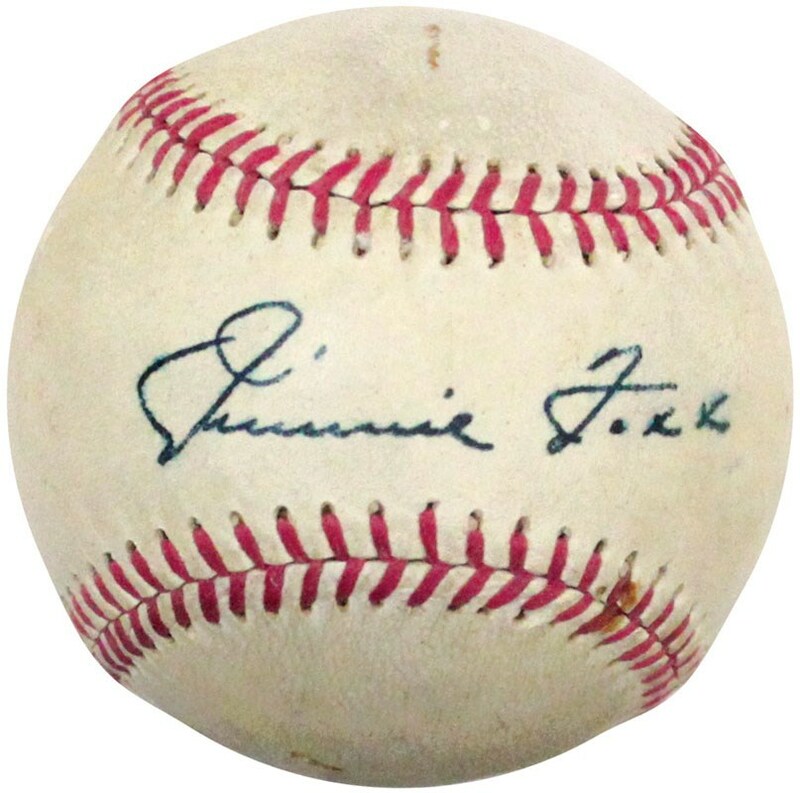 It is no secret that Jimmie Foxx single signed baseballs are extremely scarce, let alone one that arguably stands as the finest of its kind. 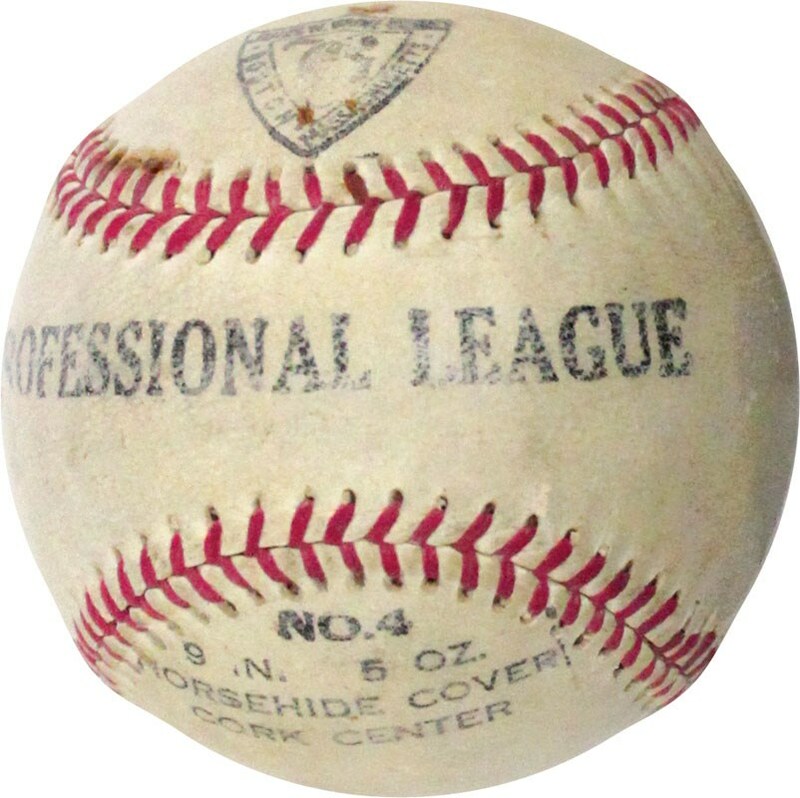 Such is the case for this extraordinary Professional League horsehide sphere that sports one of the most remarkable Jimmie Foxx blue fountain pen scripts extant! Mind boggling to say the least, the Foxx signature has "conservatively" graded a PSA 8 and it is visibly clear that this script could have easily captured the ultra-elusive "Mint 9" grade. 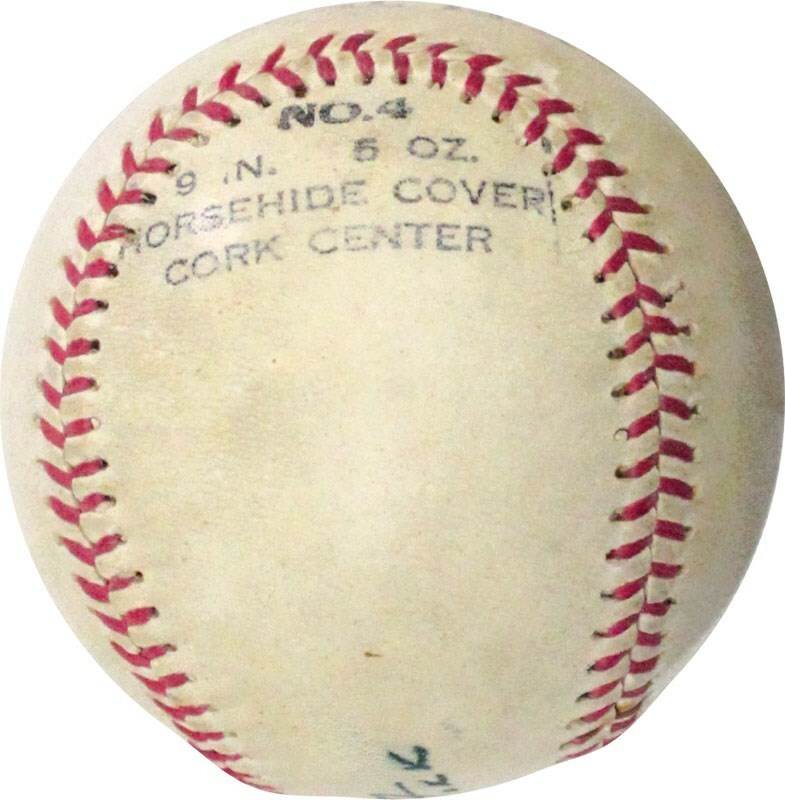 Literally "jumping off the ball, the Foxx autograph is immensely bold and can be seen from across the room, possibly being downgraded to an "8" only due to a diminutive bleed within the final "x" of his heralded name. 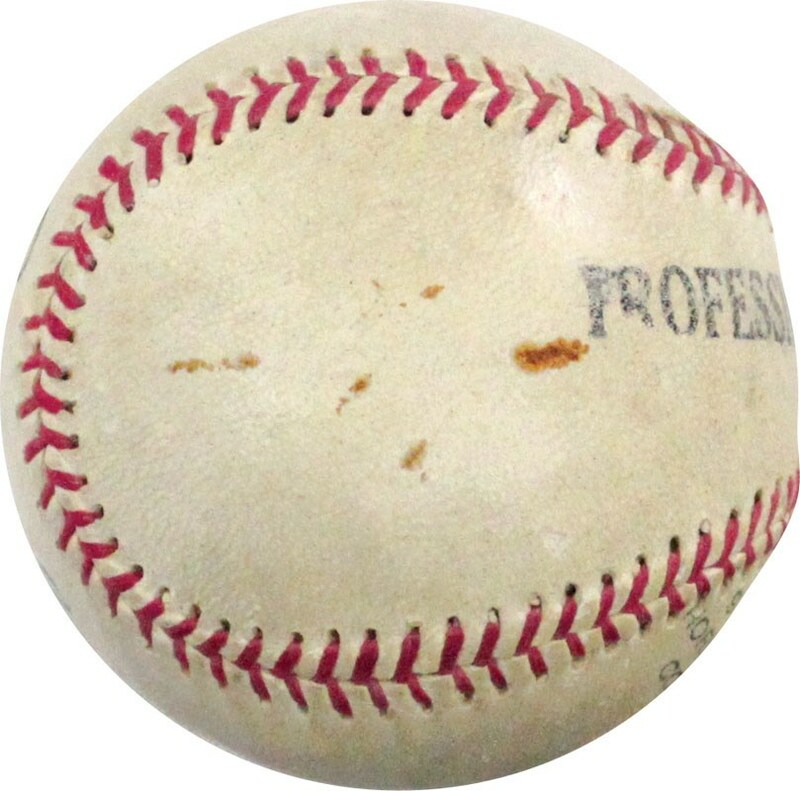 The ball itself has graded a "5" due to standard (and expected) toning and some scattered areas of foxing, with PSA evaluating the TOTAL Grade as a "Near Mint 7" (bumped a half grade obviously due to the awe-inspiring eye appeal). 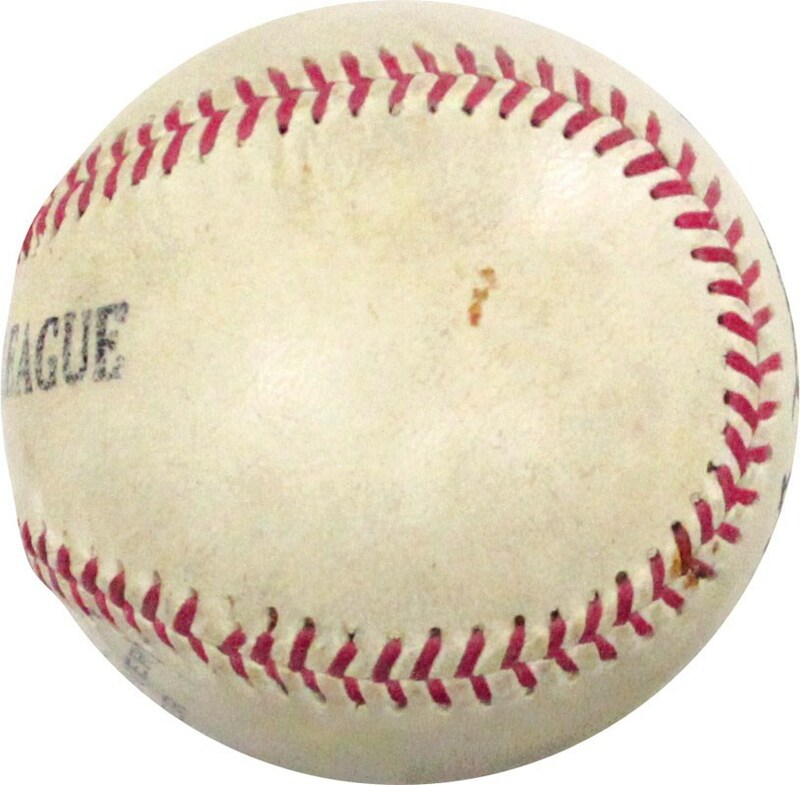 One of the most coveted autographed balls from the pre-WWII era, it dons the script of a slugger who dominated our National Pastime from the batter's box at a level far superior to virtually all of his peers. Along with Rogers Hornsby and Hank Aaron, most baseball historians consider Foxx one of the three greatest right-handed hitters ever. His .325 lifetime batting average, 1,921 RBIs, 534 homeruns, 1933 Triple Crown and incredible 13 consecutive seasons of 100+ RBIs substantiate this notion and solidify his legacy.